How did Yamunaji come to Earth? Earlier due to server change, there was technical difficulty in listening to some kirtans and Bhajans of Shreenathji. This has been rectified and is available for download. 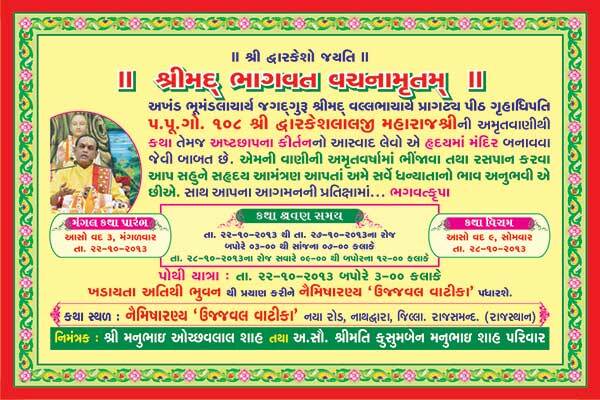 You may enjoy Shreenthji's Bhajan, and many other dhors and kritans at Pushtikul like before. 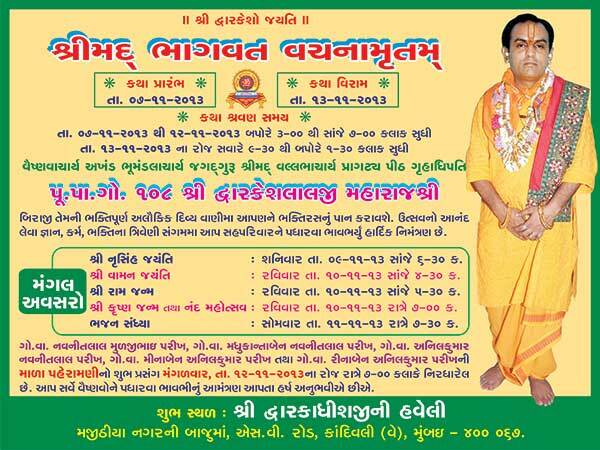 A new forum (Satsang Hall) has been formed for sharing maximum possible information on 84 Baithakas of Shri Mahaprabhuji. Currently, the forum is ready with information on 64 Baithakas. You may discuss, ask questions and even add pictures relevant to the particular Baithakji ! Q. Why a seperate forum ? Ans. Each Baithak will have just one main post. Under which users may add information, photos and their divine experiences regarding the Baithakji. 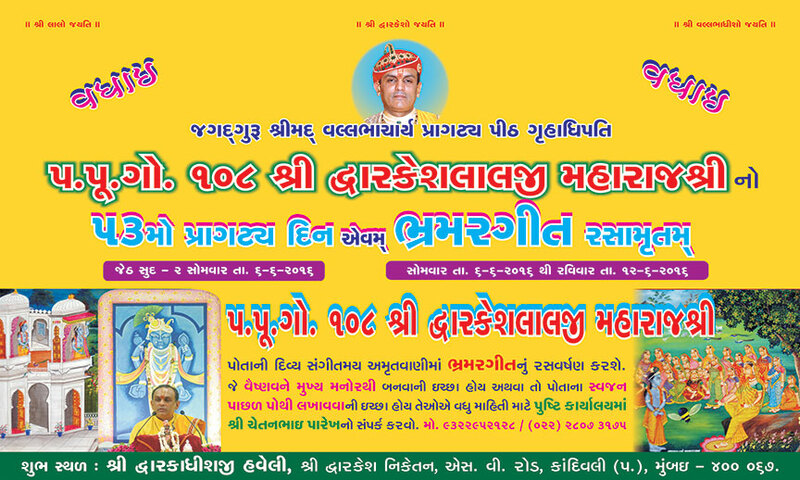 This will help in developing a small reference database regarding the particular Baithakji. Please feel free to get in touch with me in case of any difficulty. Conversation between Udhavji and Gopis in Brahmar Geet.